Did you know that tomorrow is National Pizza Day? Well, you do now! You can thank me later for providing this vital piece of information to make your weekend even better. 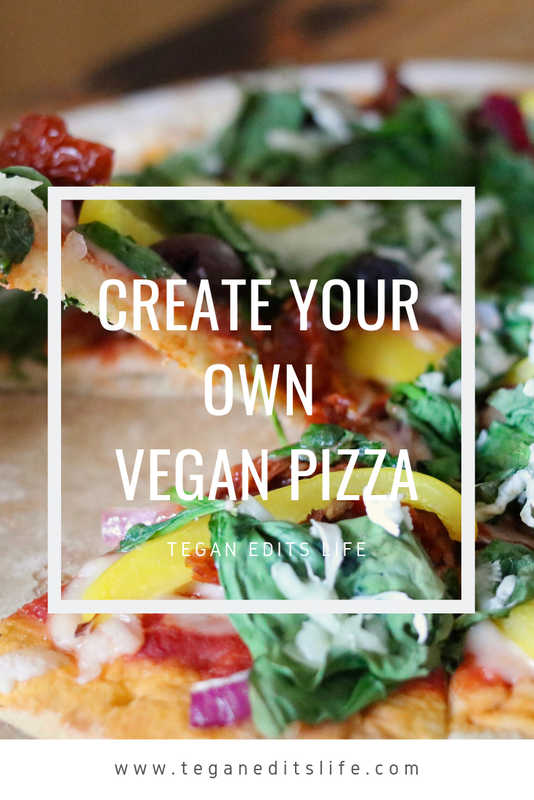 So how do you create your own vegan pizza? 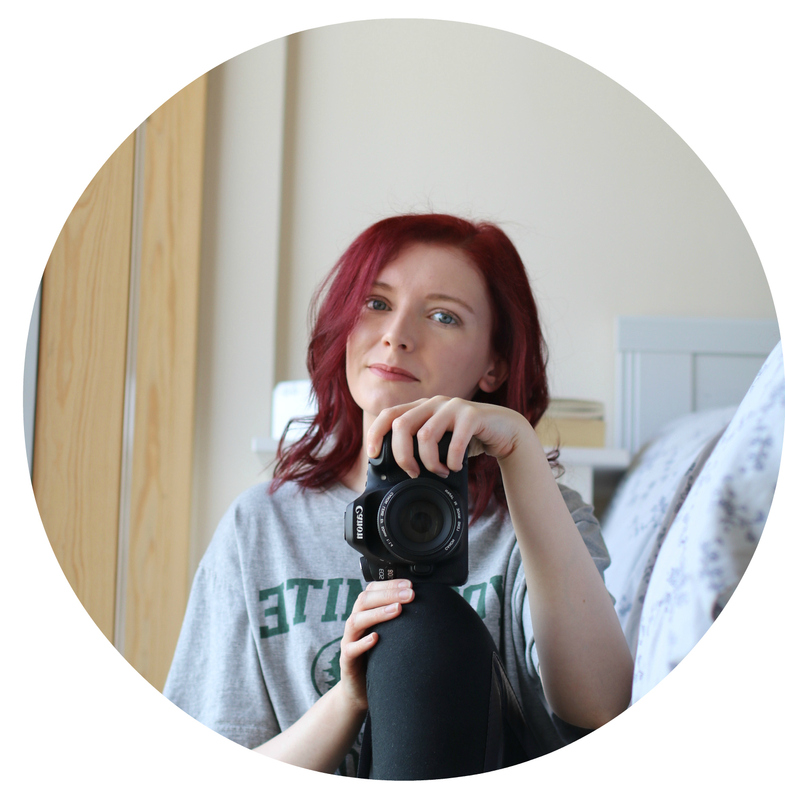 It’s pretty easy if I do say so myself, and takes about 15 – 20 minutes to make from start to finish. No need to wait 30+ minutes for a pizza to be delivered ever again. Who am I kidding. Of course I still order the occasionally pizza. But these ones do the job just as well and are cheaper, and perhaps even a little bit healthier. You could even host a make your own pizza – pizza party to celebrate this national holiday celebration of delicious food. My toppings of choice: pepper, red onion, sun dried tomatoes, olives, spinach and black pepper. Pre-heat your oven to 200º / 190º with a fan oven. 1. 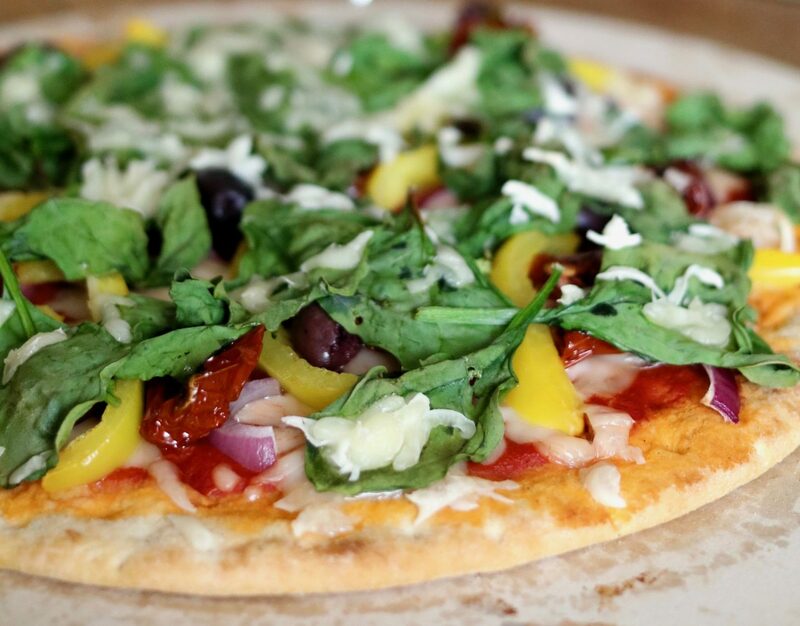 Place your pizza base onto a pizza stone or baking tray. Spoon out enough passata onto your pizza base – you don’t want to use too much as this will make your base soggy. I usually use anywhere from 3 – 5 tablespoons. 2. Sprinkle roughly half of the grated cheese on top of your pizza base, and save the other half for later. 3. 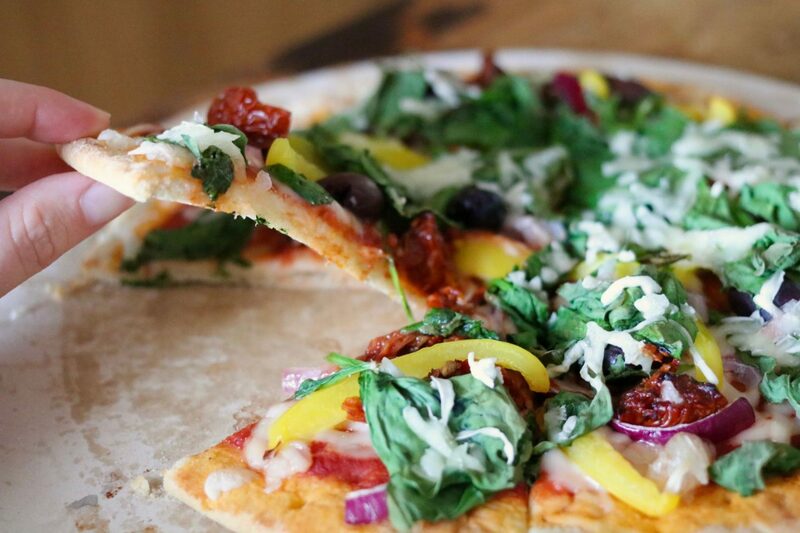 Add your preferred vegetables onto your pizza. Then sprinkle the remaining cheese on top. This helps your toppings to ‘stick’ onto your pizza. 4. Now place your pizza in the oven for 8 – 12 minutes (depending on how hot your oven gets and the suggested time for your pizza bases), or until the base is golden and your toppings look cooked through. Now, sit back, relax with some Netflix, and have a chilled out weekend. this looks dangerously good!! I haven’t made a vegan pizza in forever! First, how did I not know there was a national pizza day!? Second, this pizza looks simply delicious. Does the VioLife cheese melt well? I’ve heard mixed reviews. In my world, every day is pizza day haha! mmmm yummy this looks super tasty. Got to love a pizza so versatile you can put almost anything on it.